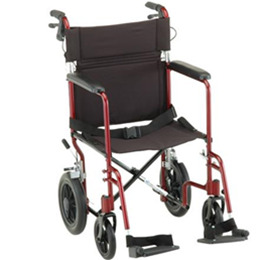 This chair feature hand brakes for safety control, 12" rear locking wheels, 8" front wheels, removable footrests. Seat width is 20.5", weight capacity is 300lbs. This chair weighs 25lbs. Comes in blue or red.